For the seventh quarter in a row the social network beat profit and revenue forecasts, with mobile phone advertising behind the increase. “We got a lot done in 2014,” said Mark Zuckerberg in a statement accompanying earnings. Revenue grew to $3.85bn (£2.54bn), up from $2.59bn (£1.71bn) in 2014, with advertising revenue also jumping 53% to $3.59bn (£2.37bn), its latest financial results said. 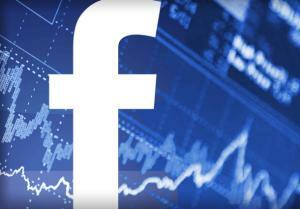 Facebook also reported a 13% increase in its number of users, to 1.39 billion, at the end of the year. However, the amount of profit the company made on each dollar of revenue decreased from 44% to 29% from a year earlier, as the social network invested more heavily in marketing and research and development (R&D). The amount Facebook is spending on R&D nearly tripled to $1.1bn this quarter, as the company spent considerable sums on developing its various acquisitions such as Instagram, WhatsApp and virtual-reality headset maker Oculus Rift, as well as its own in-house messaging products and video services. Facebook also echoed a common complaint amongst US firms this earnings season, saying its revenue would have increased by 53% instead of 49% were it not for unfavourable foreign exchange rates. Since its IPO in 2012, Facebook has adopted a ‘mobile first’ strategy to cater for its growing audience of smartphone and tablet users. The social network’s mobile ads are working, and haven’t put users off. With big acquisitions – Whatsapp and Instagram – and its “next billion” targets for the developing world, Facebook is continuing to grow at a rate that seems to be satisfying shareholders and consumers alike.